We felt the need to repost the announcement of the first Michael Jackson memorial since TMZ announced his death today (very very sad day). We’ll be here, will you? 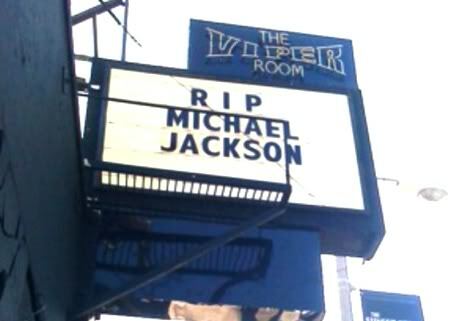 On the evening of July 1, the Viper Room (8852 W Sunset Blvd, West Hollywood, CA) will host a memorial event in their downstairs lounge to honor the recent passing of Michael Jackson, the King of Pop. They will be spinning his mindboggling legacy of hits all night. Admission for the memorial is free. We hope you’ll join us to celebrate a life and volume of music that influenced the world.